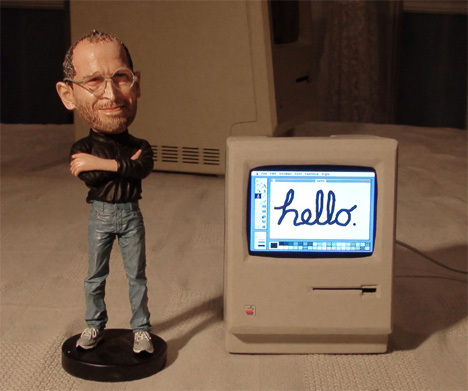 If you’re old enough, you’ll immediately recognize the form of this miniature computer: it’s a tiny working replica of Apple’s iconic Macintosh. John Leake of RetroMacCast built this 1/3 scale model from scratch. 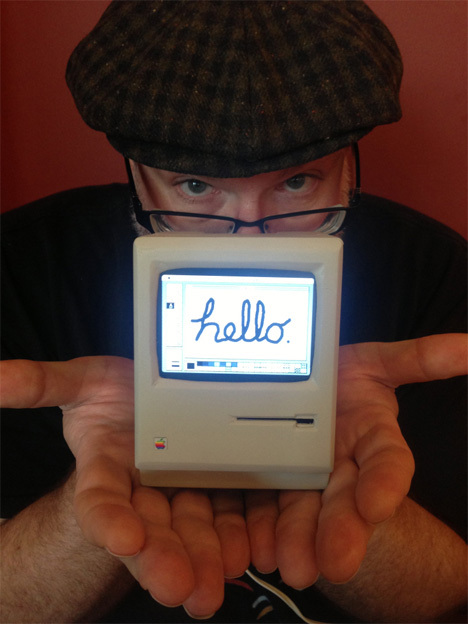 Using a 3.5″ composite monitor, some easily-shaped PVC, a Raspberry Pi, and other various electronic bits, Leake made a tiny functional Macintosh that has some very modern guts. 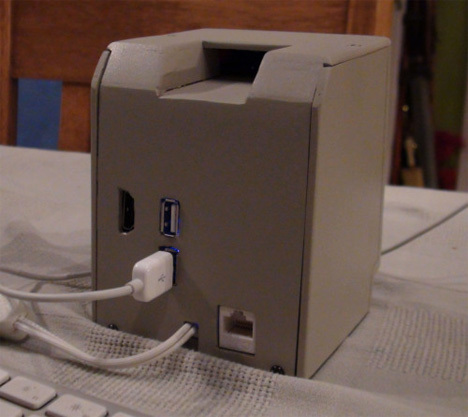 On the back of the little Apple are two USB ports, an ethernet port, and an HDMI port. The computer charges via USB and has Bluetooth connectivity so you can use a wireless keyboard and mouse to control it. Dealing with such a tiny space meant that Leake had to modify the computer’s hardware a bit. Some cutting and soldering were needed to get everything to fit into the very small case. 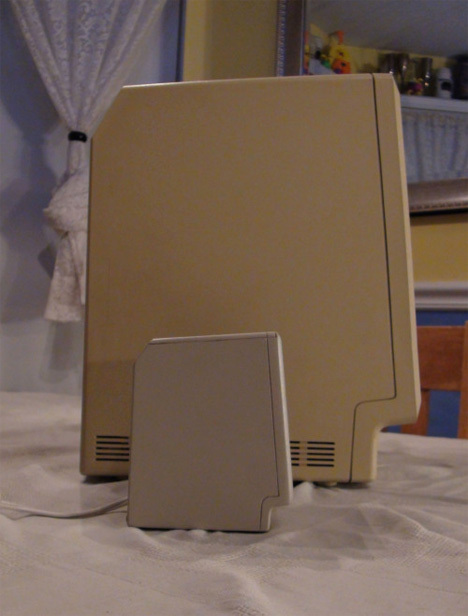 While the Macintosh runs System 6 thanks to the Mini vMac Emulator, the floppy disc slot on the front is sadly non-functional.